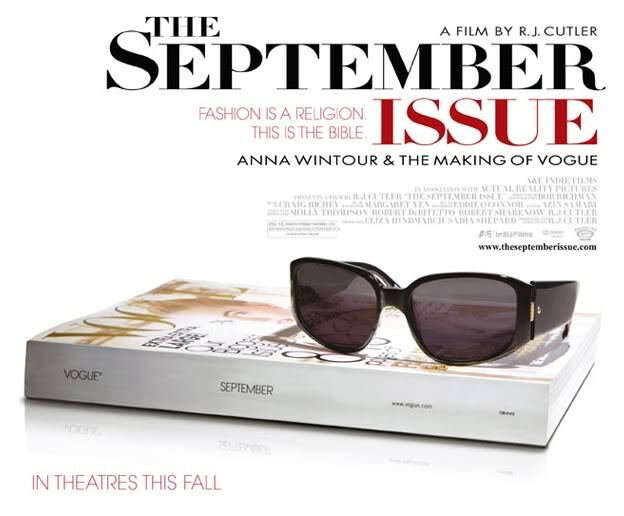 The documentary The September Issue, which focuses on Vogue magazine’s yearly four-pound-Bible-of-the-fashion-world September issue, was released in 2009. Why am I writing about it now? I am the director of a film festival and mother to a five year-old who was three when the film was released so basically I only have time to watch movies for purely entertainment reasons on ROKU when everyone is asleep. My husband and son would never watch a documentary on Anna Wintour with me. They have very pedestrian tastes. 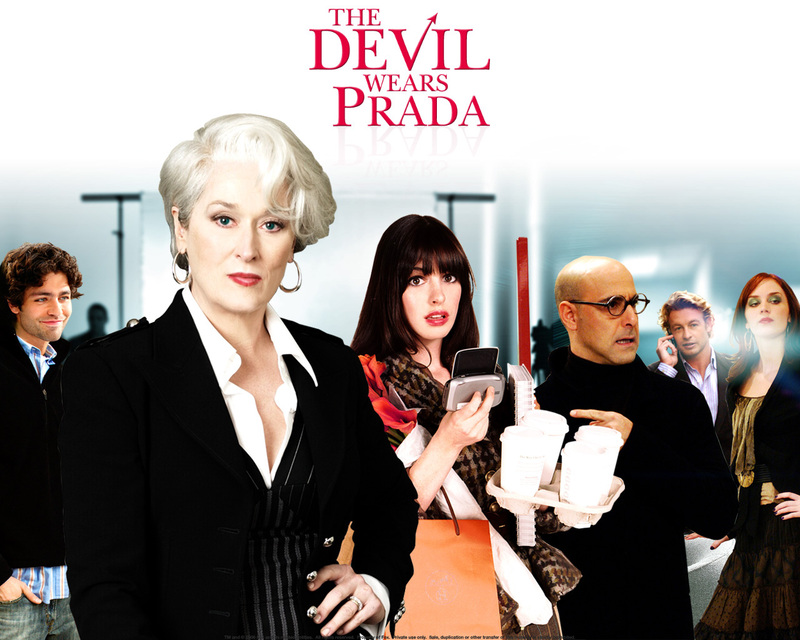 After watching this film I realized Anna Wintour isn’t that bad and in fact she is my new role model. based on the book of the same title written by a former underling of the aforementioned Miss Thing. Meryl Streep plays this character to perfection but I am now convinced that character is not Anna Wintour. The thing I loved about Anna Wintour in The September Issue was how economical she was – her speech, her gestures, her movements. She doesn’t waste energy with a lot of words and emotions. She conveys meaning with the subtlest of facial expressions. With the minimum of words. Without undue emotions. She is contained. And – commanding. That’s why I know she wouldn’t waste her time explaining the introduction of cirlian blue into the world of fashion on the likes of that big, dumb Anne Hathaway like Meryl Streep did in the film The Devil Wears Prada (TDWP). That would be a big waste of her time. Briefest rant on the film TDWP and Adrian Grenier – I wish the film had just been Meryl Streep, Stanley Tucci and Emily Blount trading quips. I think Anne Hathaway is a real snore. Further, I can’t stand Adrian Griener who plays Anne’s boyfriend in the film. He’s the star of the HBO series Entourage which I used to love until I found out Griener was a total douche who thought he really was a famous actor and not just a lousy one who plays a talented one. And, where does he get off calling Seth Rogen fat and ugly? Seth Rogen is smart and funny which automatically makes him hot no matter his size. Back to The September Issue. There is this sort of contrived drama between Anna Wintour and Grace Coddington, the creative director and hands-on-stylist at Vogue. Coddington is responsible for styling the intricately layered and detailed photo spreads Vogue is known for. Her big compliant is that Anna edits her photo spreads. Grace – SHE’S THE EDITOR OF VOGUE MAGAZINE! She edits. Really, Grace, twenty years working with her and it still raises your hackles? The real villain in the film is Mario Testino who is hired to shoot the cover and centerpiece spread featuring Sienna Miller (who is like totally obsolete now) of the most critical issue of the year and he takes nine photos. Not nine good ones and the rest sort of so-so. He took nine photos period. Dude didn’t break a sweat. His is the bad example of not expending enough energy. Anna Wintour expends by my estimation just enough energy. This concept of “energy expendtion”* has inspired me to be Anna Wintour for a week. Thank you, Anna Wintour for being you. *expendtion – I made that word up. Fantastic! or should I say – nice. And in that nice is the implied and economical statement of I love this post, Kari! This is why Anna Wintour is who she is…Not a movie star. The movie was to entertain the Masses. The average movie goer does not know what makes a star . In the Movies, In the Business world, Being a top Designer in any Field or business takes talent and talented people work and love what they do. Just read a week’s letters to the editor of “Peple Magazine” and you’ll under stand what i mean. Everett Perlman Ask my bank…..They’l tell you .The only thing I”ll autograph is a check that I deposit !!!!!!! !